Are you looking for funny design socks? 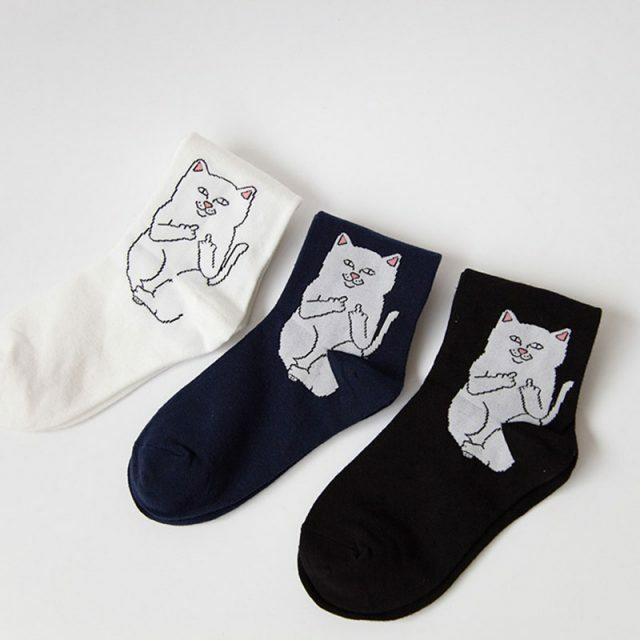 We have brought the best selling socks with a funny novelty design exclusively for you. We offer you a limited edition collection of socks. Make a little bit different to the day with our funny design sock. 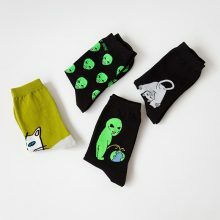 The funny alien sock is made up of skin-friendly fabric which allows the air to circulate, helps to keep your shoes and feet dry – Breathable! The high quality of the sock makes these socks more durable and flexible when worn, which means that a pair of socks is very suitable for all-day wear, whether you are with boots or at home are unparalleled good-looking fashion. Our trendy, convenient and stunning socks will put a smile on the face. Our comfortable socks are sure to be a hit, whether you’re buying it as a gift for somebody special or choosing it yourself. Great to wear it every day on casual hangouts with your friends and family. It is specially designed to give you a style that will keep your fashion cool. The best gift for your friend, lover, family, and colleague on Birthday, Christmas, Thanksgiving day or any occasion. We offer more unique designed socks. Don’t miss the opportunity and order now! If you want to catch someone’s attention, our socks are the best. ахуительные socks, манасах in yak quality best, smell no, the feet красят. all recommend!!! Fun socks. Recieved in 7 weeks. i'm satisfied with the product and the store, i recommend! a little long time shipping, ok. 2/3 months but all okej, socks are super and material. Polacam! super socks! ill order more! recomend! big size 36-37, свободнее than slightly but would like. (for reference: perfect boarded-store same this gray socks.) and so are excellent. It took quite a long time to get the socks but they look fabulous. Thank you. The cat is a little-bit dirty white (? ), colour near grey, but socks are cool anyway! Really good size (Polish 40) and quality. socks super comfortable, stretch, it's already my second order. be honest, разочарована slightly the quality. long проживут exactly the, but, think counts and not this one. order but overall satisfied. socks cool. Sock are better than on the photo.